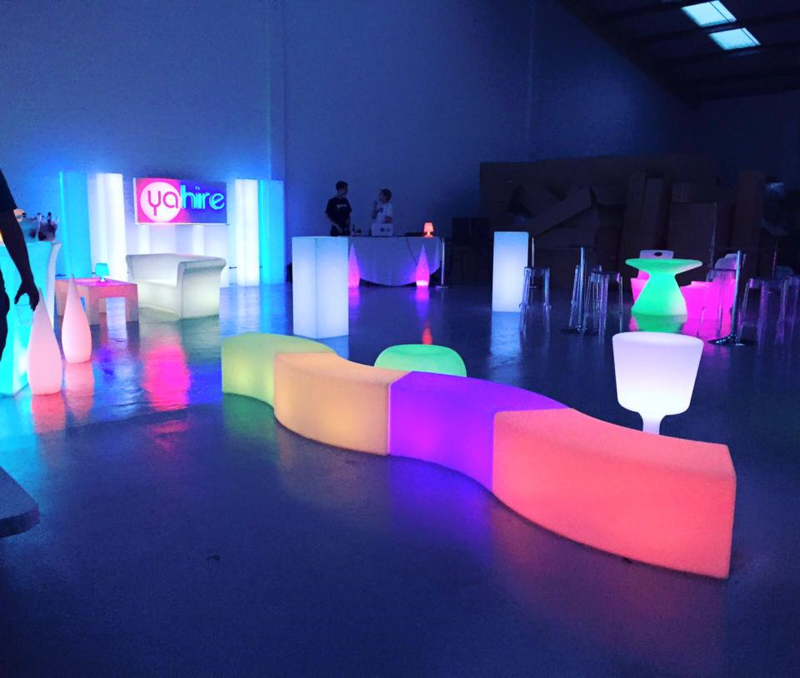 Look at our NEW LED range – We have chairs, tables, plinths, bars, columns and more! We are super excited to tell you we have added extensively to our LED range! We have offered LED cubes and bars for some time but now have added…. Modular snake seating, columns, plinths, armchairs, sofas, coffee tables, poseur tables, round bars, round tables, dining chairs, benches, lamps and huge round banquet tables!! 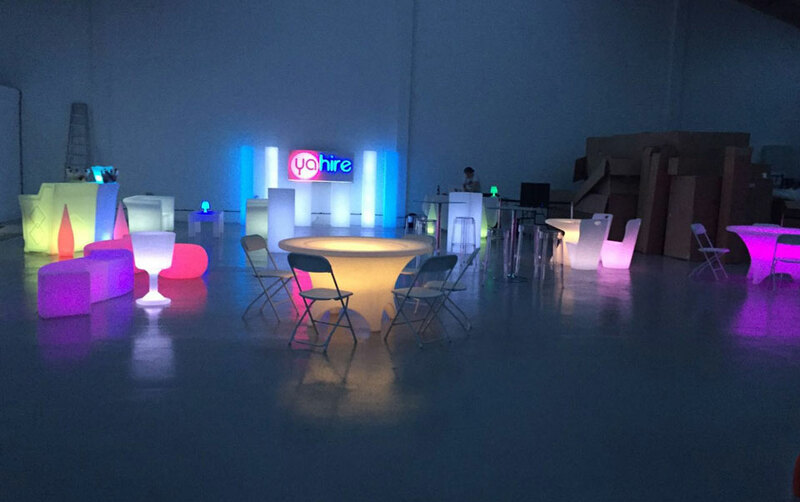 We unveiled the new LED furniture in our also brand new warehouse with a staff get together. Most items are now available to hire and brighten up peoples events. 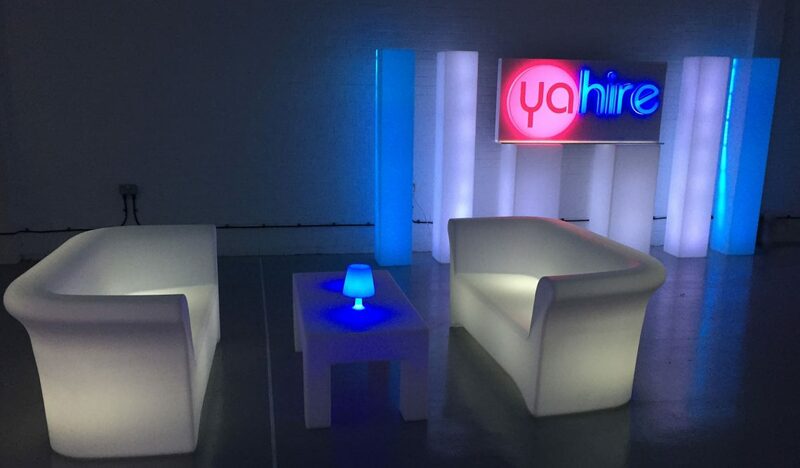 If you have any questions feel free to call the Yahire team 7 days a week on 0207 112 8511. 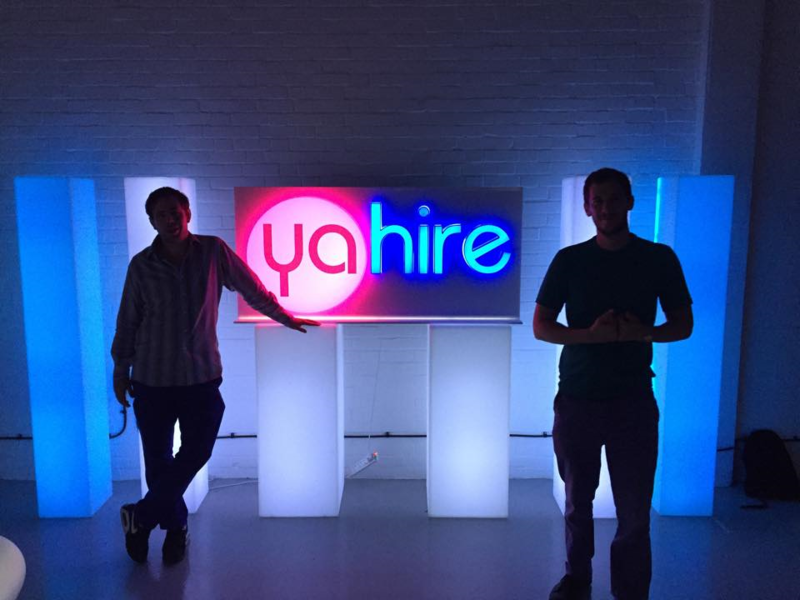 Yahire’s two directors went to a magical LED factory and have come back with some great items, we hope you agree!